posted November 17, 2018 03:13 AM bonus applied by Maurice on 26 Nov 2018. Edited by Morglin at 04:15, 18 Jan 2019. I replaced Stronghold for Forge, mostly for personal usage. It's based on Polish Forge for VCMI, but it has some small changes compared to orginal. I also didn't replace puzzle. Except of that everything shoud work fine. 0. It was tested only on English HotA 1.5.3 version, avaible here: https://www.vault.acidcave.net/file.php?id=587. Mod may not work properly on latest Hota version! It doesn't replace any of the orginal files, so you can have orginal and modded HotA both in one directory. Thanks for this, seems awesome! Gonna try it as soon as I"m back home. come calcolare le coordinate in bit? Could you tell me in which moment it crashed? Is it always crashes exactly at this moment? I didn't have any crashes when I was playing, so it could be just HotA error. But I can't guess without more info. Edited by planetavril at 01:37, 18 Nov 2018.
if so, you can replace any city without modifying the .exe file? Edited by Morglin at 01:41, 18 Nov 2018. I don't have that error. Could you send me your savefile? 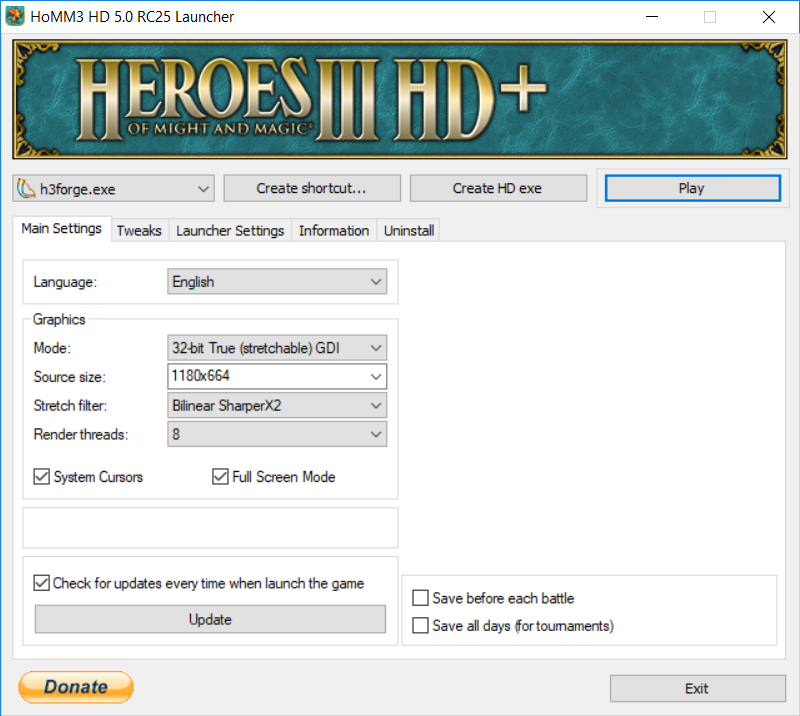 Also, If you want to talk about modding .exe, please go to "How to edit HotA" thread. Edited by planetavril at 01:53, 18 Nov 2018. Edited by Morglin at 03:09, 18 Nov 2018. It seems that it crashes very very rarely on "Before the Storm" map, but I'm pretty shure that's HotA problem. I had crash on that map once on 1m/2w/4d and I can't repeat it. Edited by planetavril at 07:32, 18 Nov 2018. The game crashes whenever the hero moves in the HD client. But it's still normal in the normal client. Any idea how to fix that ? -whether it is planned to correct graphics bugs? -if this forge is in Polish on vcmii, is it possible to expect the Polish version? This year, I'm not planning to do anything for this unofficial port. But if someone wants, he can make corrections by himself. But it's clearly works with the HD mod in this video ??? If you still have problem, it can be something with your graphics card.